Highly efficient fitness bands as noticeable added value for your health: They will make sports, Yoga, Pilates or rehabilitation even more enjoyable! 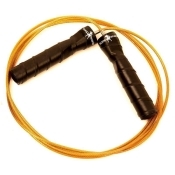 Buy here a skipping rope of the latest generation: losing weight with a jumping rope can become reality for you. Try it now! With this high quality denefhoop, we offer you a new dimension for the health-promoting sport Hula Hooping. Compared to many standard models, this Hoop (which has been designed according to Leonardo da Vinci) is considerably larger. It has been developed with view to da Vinci's Vitruvian man. Therefore, the denefhoop reaches not only up to the navel, but rather to the forehead. You will be able to experience a completely new, very intense form of Hula Hooping, which brings body, mind and soul tangibly into a moving harmony. The large diameter, which offers new possibilities of movement with relaxing effect, will be a fascinating experience. Use exceptional training places in the nature to get into a soothing phase of relaxation. With the new denefhoop, you will enjoy a wide range of sporting possibilities. You can easily integrate the large Hula Hoop into Yoga, Qigong, Pilates or meditation exercises. Due to the impressive diameter, it is also perfect for soothing stretching exercises that can relieve stress. Take a look at the product videos to get a vivid impression. Whether you are already an active Hula Hooper or you want to become one: with this innovative denefhoop, you can enjoy a new dimension. The large diameter favors a stretched posture, so that breathing will be noticeably easier. Many enthusiastic users of the denefhoop speak of a noticeable sense of happiness in this regard. Take the typical position of Leonardo da Vinci's Vitruvian man and place the denefhoop in the outstretched hands. Compared to a Hula Hoop with a smaller diameter, it will be much easier for you to let the Hoop circle around the waist. Test it now yourself! Now you have already found the perfect measure for your new denefhoop. Lean against a wall in order to be able to determine the measure as precisely as possible. Whether for Yoga, Qigong, Pilates or Hula Hooping 2.0: This extraordinary denefhoop (inspired by Leonardo da Vinci) will be a "moving" enrichment with the goal of making you fitter and happier. With EVERY buy of the denefhoop's, you automatically support the netzwerkB e.V. Through each purchase of the exclusive denefhoop, you support the club to further educate and combat sexual violence. Thank you in advance in the name of the networkB and Hula-hoop-shop.eu Scharkov e.K. We would like to point out that this Hoop is a not prefabricated product that is tailored individually according to your order. Therefore, a return of this product is unfortunately not possible.